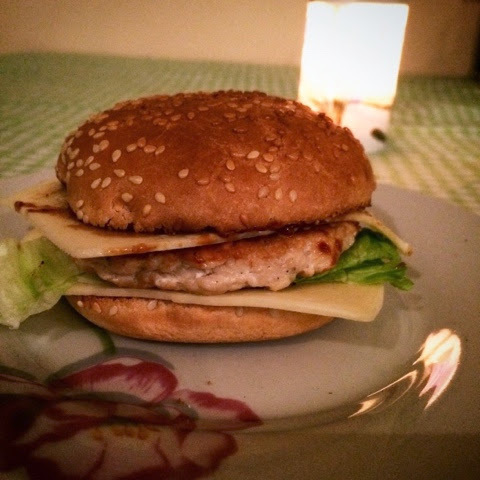 Lemon Chicken burgers at only 270 cals each! Mix by hand the mince meat, onions, add some salt and pepper, squeeze the lemon juice of one lemon into the mince meat mixture, then mix thoroughly. Mould the meat into a patty shape, to fit the size of your buns, then cook them thoroughly through by cooking them on each side until they achieve a golden colour. Toast your sesame buns, add in the lettuce, cheese and burger and you’re ready to go. Also feel free to add any sauces that you like in your burgers, except remember if you are a calorie counter, that sauce is extra calories dependent on the sauce! Bon Appetit or Pofta Buna as we say here in Romania! ← No bake, chocolate oatmeal bars! – for the Chocolate Lover.